Benefits Of Sunflower Seeds - Reasons Why You Must Eat Them! Today, we bring here the amazing benefits of sunflower seeds and the tops reasons why to eat them. I’m sure you will surely amaze with this. The scientific name of sunflower is Helianthus. The sunflowers resemble with loyalty, faith and adoration. The sunflower oil is used to smooth the leather, work as a conditioner for hair, heal wounds, etc. It is also used as a cooking oil, animal feeding ingredients, bio-diesel, and medicinal paints. Sunflower oil is a rich source of iron, calcium, Vitamin A and D.
Sunflower comes with more than 60 varieties with different shades across the world. Sunflower provides you with two kinds of seeds, namely the black and striped. The black seeds are used in making oil while the striped are used to make snacks. Remember that flower that changes its facing position according to the rise and set of the sun! Yes, we are talking about the lovely sunflower, which is also known as Sooraj-Muk hee, as it changes its movements according to the rise and set of the sun. This process of the movement of the flower is known as heliotropism, due to which, it is named as Helianthus. The flower is not only famous for the magical properties it carries, but also well known for the wondrous benefits of sunflower seeds it provides. Merely a single sunflower provides you with around 2000 seeds, which comes with multiple uses. The seeds come in the shape of an eye with black or black and white strip shells, which contain a great amount of oil in it. When consumed with the shells, it gives a mild nutty flavor. They are the prime source for having poly-saturated oil for your body. The sunflower seeds come as a treasure box with various benefits of sunflower seeds. Having sunflower seeds daily in your diet provides you with positive properties for disorders like cardiovascular disorders, diabetes, digestion disorders, heart problems, skin issues, hair problems, and much more. Sunflower seeds come with low cholesterol and sodium that play a good role in protecting your heart. 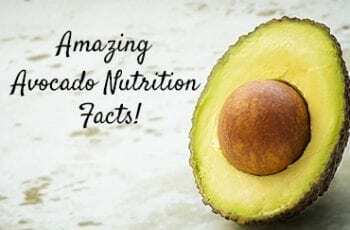 It also comes with other nutrients like Vitamin B6, Thiamin, Copper, magnesium, manganese, phosphorus, selenium, Vitamin E, and much more, which provide you a balanced level for your daily nutrient requirement. All the nutrients together provide you with a healthy routine, like promoting the circulation of blood and increasing your red blood cells count. It is also filled with fatty acids like poly-saturated fatty acids, oleic acid, linoleic acid, which makes it important for getting proteins and amino acids. It also provides you with folate and niacin, which hold equal importance for maintaining your health. The ovular seeds come with not only a bundle of health benefits but also hair and skin benefits of sunflower seeds too. Here are some supernatural health welfares it gives your body for a fit and fine life. The sunflower seeds provide you with a rich amount of oil content, which provides you with polyunsaturated fats and monounsaturated fats. Both the fats are beneficial for maintaining overall health. They help in providing your health organs a smooth working for good health. 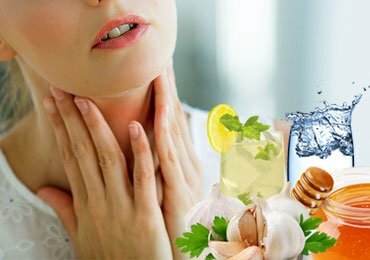 They work as oil to the organs, and make sure you don’t face any kind of health issues related to your immune system. It includes high level of betaine, and lignans that help in maintaining the level of blood cholesterol preventing you from atherosclerosis. Sunflower seeds are the best option to get the adequate amount of Vitamin E for daily needs. The seeds also give you a good level of antioxidant, which sojourn the dispersal of free radicals in your body that might damage the cellular through some disorders. Vitamin E from sunflower seeds also helps in the smooth functioning of the circulatory system. Along with this, it also helps in the clotting of the blood, while healing wounds. They slow down the cardiovascular disorders and diabetes. The selenium it provides eradicates the diffusion of the cancer cells. The sunflower seeds are filled with dietary fiber. Hence, for those who are facing a deficiency of fiber, having sunflower seeds regularly would be a good help. The seeds are also helpful in problems like piles, constipation, colon cancer, hemorrhoids, etc. When the level of toxicity upturns in the intestine, you face digestive problems. Having sunflower seeds in your diet daily would provide you with a rich quantity of dietary fiber that would surely release your digestive problems. Do you know! The athletes have sunflower seeds or sunflower seeds oil in their regular diet! Yes, this is true, because the seeds also help in boosting your energy levels. The shabby seeds present you with a bulk of proteins and carbohydrates. 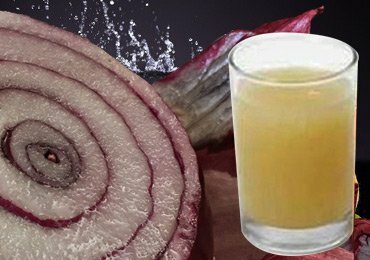 This helps the liver in eliminating glycogen to the bloodstreams. As glycogen is mode of sugar, it helps in increasing your energy levels. As mentioned above, sunflower seeds bring with them a good amount of iron, which helps in supplying oxygen to the muscles. The zinc present in the seeds help in reinforcing the immune system, and avoids cold and cough. It also includes magnesium that is helpful in strengthening the bones and produces energy. The magnesium is stored on the bottom of the bones, which is used by them when required. It also helps in lowering your blood pressure, which indirectly reduces the chances of having heart attacks and strokes. Having an upset mood! Or are you hot tempered! Have some sunflower seeds. They would help you in controlling your mind. Surely, the sunflower seeds have a property of calming your brain at the time of anxiety, anger, stress, etc. It helps in changing your mood due to the tryptophan elements present in it. Tryptophan helps in increasing the fabrication of your brain, which eases tension, gifting you a relaxed feeling. It also helps in increasing your memory and vision affairs. Vitamin B or say folate is very important and necessary at the time of pregnancy. Folate plays a vital role in producing the new cells in the body, which promotes the reproduction of DNA and RNA cells. This is quite important for the development and the growth of the new baby or say fetus throughout the pregnancy. It also aids in producing hemoglobin in the red blood cells, reducing the chances of heart sicknesses. It is also helpful in preventing your infant from infections resulting to premature deliveries or low birth weight. The premature babies have high risks of facing such infections as they have underdeveloped organs and skin. Having problems with your nerves like migraine! Sunflower seeds would definitely help you in the best possible manner. It brings a healthy amount of magnesium and calcium to your body, that helps in controlling your nervous system, and muscles. It controls calcium in gathering into the nerve cells in a rustle and activates them for performing smoothly. In this way, it brings the nerves to a relaxed state. Also, take care that you intake the seeds in a limited quantity as the excess intake would lead to overactive nerve cells, which would create contraction. Sunflower seeds come with anti-inflammatory features, which is quite helpful in problems like asthma, rheumatoid arthritis, joint pain, skin eruptions, gastric ulcers, and osteoarthritis. The oil extracted from sunflower seeds reduce the symptoms of arthritis. It is also helpful to reduce the regularity of hot flashes women face during the phase of menopause. Just the sunflower seeds are healthier for your health, it is equally healthy for your skin too. It provides you with copper that helps in producing melanin, which is responsible for your skin color. The proteins it contains protect your skin from the harmful UV rays. The useful particles help in the growth and the development of the pigmentation of the skin for a healthy look. Sunflower seeds and the oil from the seeds contain all the necessary nutrients which are helpful for the vigor skin. Vitamin E obtained from the seeds protect your skin from the damage caused by the free radicals, or due to the sun damage. As a result, it prevents your skin from problems like scarring, fine lines and wrinkles. The beta-carotene elements in the seeds are beneficial for the people with sensitive skin, especially to the sun and the damage caused by the environment. So, next time if you wish to delay the aging symptoms, have some sunflower seeds. Essentials like oleic, linoleic, stearic acids and palmitic acids are obtained in required quantity from the sunflower seeds. These elements increase the building of elastin and collagen in your body, which helps in making the texture of your skin soft and smooth. 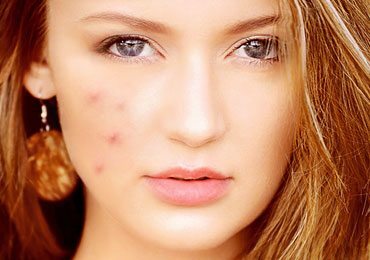 The fatty acids it gifts you with help your skin from the harmful bacteria that reduces the existence of acne. It protects your skin from any kind of dermatitis and eczema conditions. The sunflower seeds or the sunflower seeds oil have proved to be carrying amazing moisturizing properties. It helps the skin in getting proper moisture with the presence of linoleic acid. The Vitamin E present in the seeds is also rich in providing you with a glowing skin. It is a natural protector from the harmful rays that are strong barriers to the youthful skin with a glowing touch. Zinc is an essential ingredient for hair growth, and sunflower seeds are strong boosters for hair growth. Vitamin E availed from sunflower seeds also increase the circulation of blood in the scalp that results into the growth of the healthy hair. However, if you are looking for healthy hair growth, make sure you consume a moderate amount of the seeds as the excess intake would lead to hair loss. Sunflower seeds also come with Vitamin B6, that play a crucial role in protecting your hair from shading. 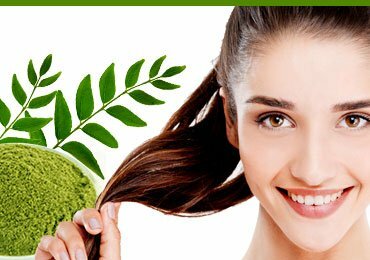 It also boosts the supply of oxygen, and protects your hair from imparting its color. Fed up of using the expensive moisturizers available in the market for your hair! Give the sunflower seeds or the oil obtained from it, one chance, you would never regret. The seeds have a good amount of Omega 6 fatty acids, that moisturize your hair and protect them from getting thinner. The copper obtained from the seeds helps your hair from getting grayish. It provides you with long term dark black and strong hair with a good bounce. We have seen here the benefits of sunflower seeds. Henceforth, the sunflower seeds, whether consumed in the form of solid state or in the form of oil helps in presenting you with good health, hair and skin. Just as the excess of any ingredient is harmful, similarly having more amount of sunflower seeds is also detrimental to your health. Here are some injurious side-effects of sunflower seeds or its oils. Having too much of sunflower seeds would give you too much of calories that your body wouldn’t be able to burn. Hence, the unburnt calories would get stored as fats in your body, leading to increase in weight. So, have a limited quantity of sunflower seeds to maintain your weight. Sunflower seeds come with a rich source of monosaturated and polyunsaturated fats, that are good for your heart, however, they also bring along with them saturated fatty acids, that increase the deposition of low-density lipoprotein, and cholesterol. Hence, just as it prevents your heart, it also causes damage to your heart when the intake increases than required. Have you ever checked the packed sunflower seeds before purchasing! If yes, you might have read that it contains salt. Yes, that’s true. Some of the companies include salt in the seeds while processing them. They contain a high amount of sodium, which may increase the daily limit of sodium intake. Hence, beware of the seeds you are having during your snack time for not exceeding the sodium limits. Sodium serves you with nutrients like phosphorus and selenium, which can cause serious health problems if taken more than recommended intake. The excess intake of phosphorus toxic can lead to the decrease of calcium in your skeletal tissues, bones and also damages your kidney. Similarly, high amount of selenium leads to symptoms like brittle nails and hair, rashes on the skin, irritation, fatigue, and also death in serious cases. 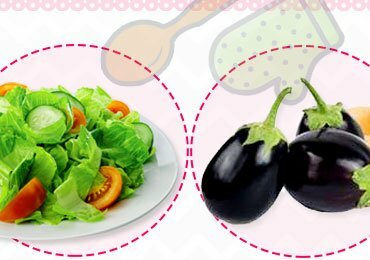 Henceforth, with an appropriate amount of sunflower seeds and sunflower seeds oil would surely provide you with a good quantity of nutrients, which can be included in your meals like salad recipes, scrambled eggs, meats, hot or cold cereals, etc. to increase the flavor with a nourishing touch. 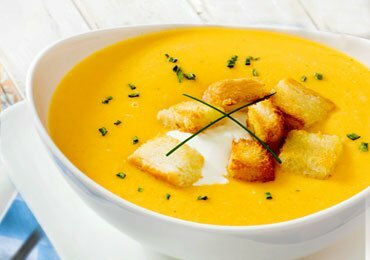 Soup – Should You Take It As An Appetizer Or A Meal? 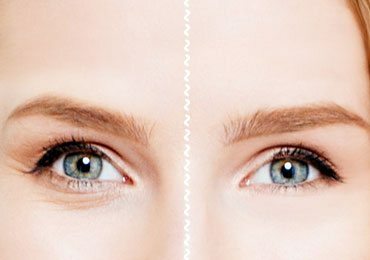 How to Get Rid of Under Eye Wrinkles or Under Eye Creases! 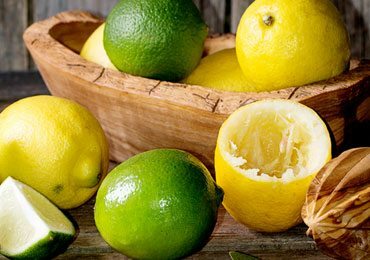 Surprising Lemon Hacks That Will Work for You and Your Home!